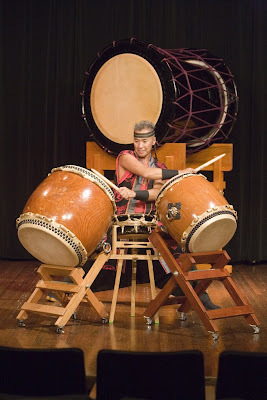 Kenny Endo, a world-renowned taiko player, along with four other equally talented musicians in a concert that focuses on Traditional Japanese instruments, like fue, shamisen, and koto, as well as contemporary jazz influences, like the vibraphone will have a concert sponsored by a taiko group at Oberlin University. The concert will be held at November 2nd, Tuesday, at 8 pm at the Finney Chapel in Oberlin, Ohio. Tickets are $10. This looks to be a great concert. 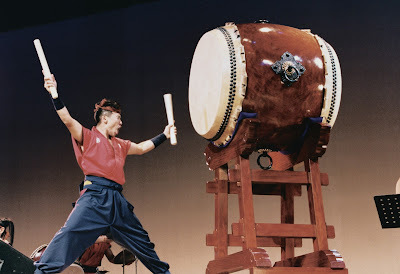 You can find out more about Kenny Endo at his website at http://www.kennyendo.com/. The organizers at Oberlin provided this PDF flier if you are interested and want to pass the word along. See the map below for the location. If I’m in town and not away on business that week, I plan on going! Anyone else interested?